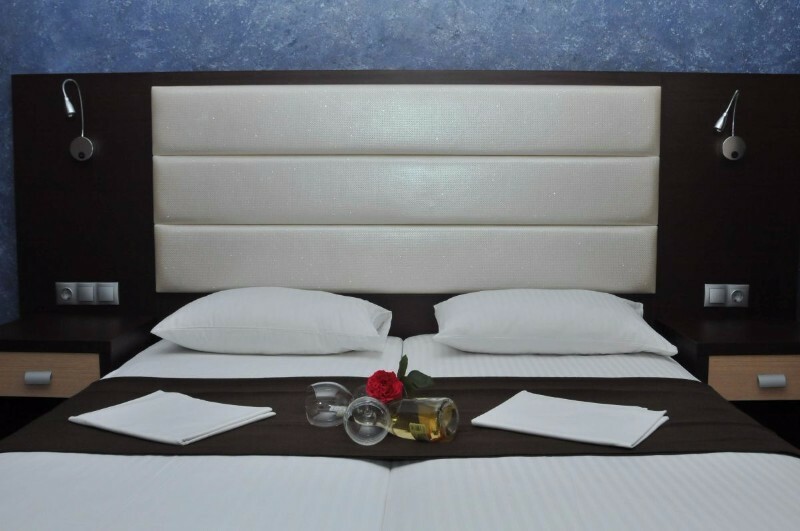 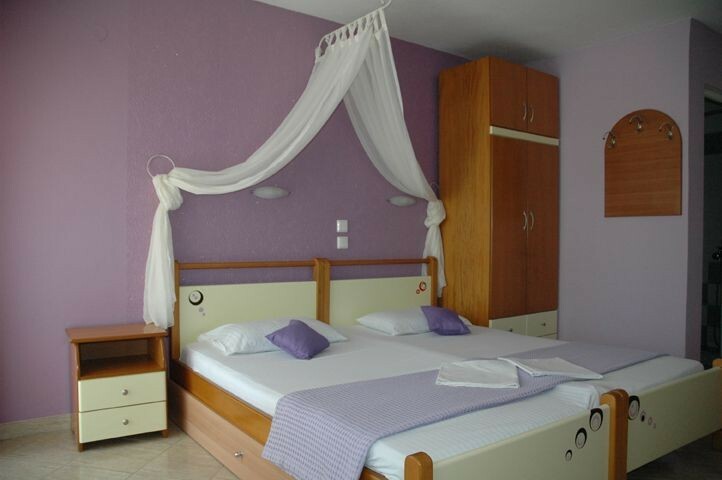 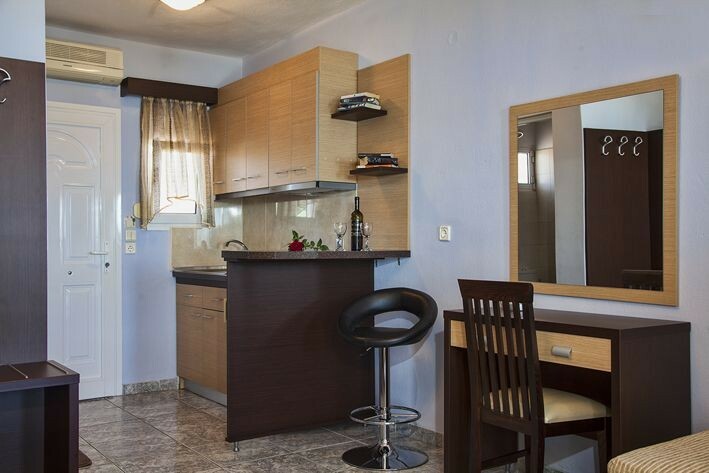 HAUS THEODORA complex is located just 10 meters from the beach and is the perfect place to stay. 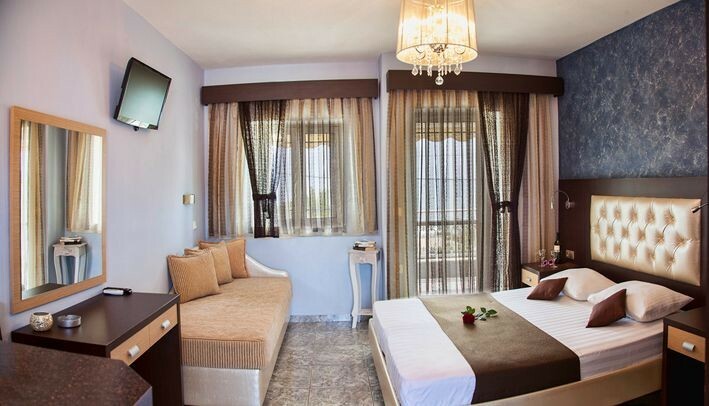 It offers rooms with bathroom, fully equipped kitchen, balcony with sea view, air conditioning, internet, satellite television and Beach Bar. 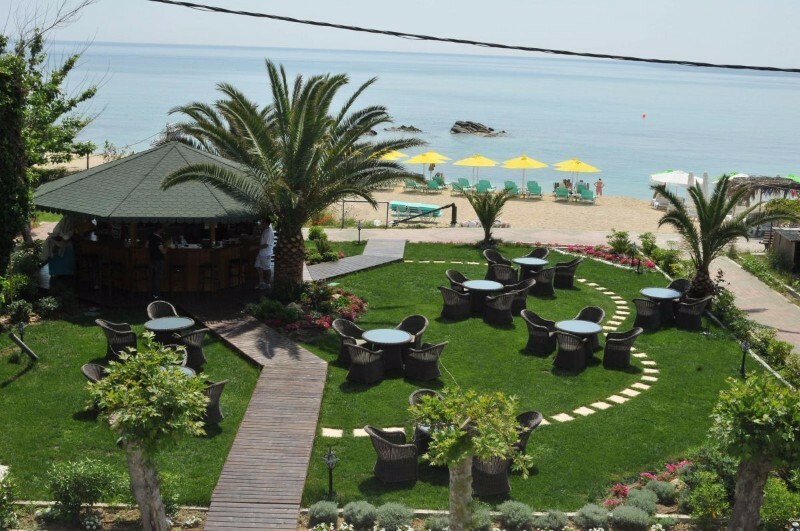 In Haus Theodora there is a beach bar, the Theodora Beach Bar, where you can enjoy refreshments, coffee and let's drink watching the breathtaking views of the bay! 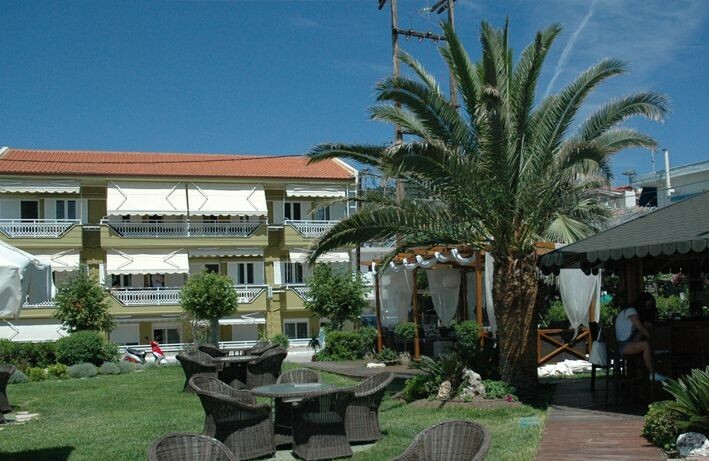 In addition, a number of sun beds and umbrellas await you to relax in the magnificent beach of Sarti.